I feel very happy and proud to inform you that on 28th November, 2012, on the very auspicious occasion of Kartik Pournima (birthday of Bapu as per the Hindu Calender), we have launched the inaugural issues of the E-Journals, covering various disciplines. You can read the E-Journals at the following URL: http://aanjaneyapublications.com/publications.facesThose who were fortunate to attend Bapu’s discourse on Ram Rajya on May 6, 2010, at Shree Harigurugram would have heard Bapu announcing the launching of Exponent Group of Journals, one of the projects, integral to Bapu’s vision of re-ushering in of Ram Rajya. Those of you who could not make it on that day, I’m sure, would have read the publication of Bapu’s pravachan on Ram Rajya. The launching of the E-Journal is a quantum leap for us, in terms of bringing in technology to the Shraddhavaan friends of Bapu in a very user friendly format. However, let me tell you, this has not happened overnight. In the true implementation of Bapu’s teachings, we have taken small but sure steps in this direction, consolidating every step taken, before putting the next foot forward. At times, we had to alter the course, change directions, but all this has been part of putting the next step forward. Those who are desirous of subscribing to any of more of these E-Journals can visit our website and subscribe to the journals by making payment through the payment gateway. 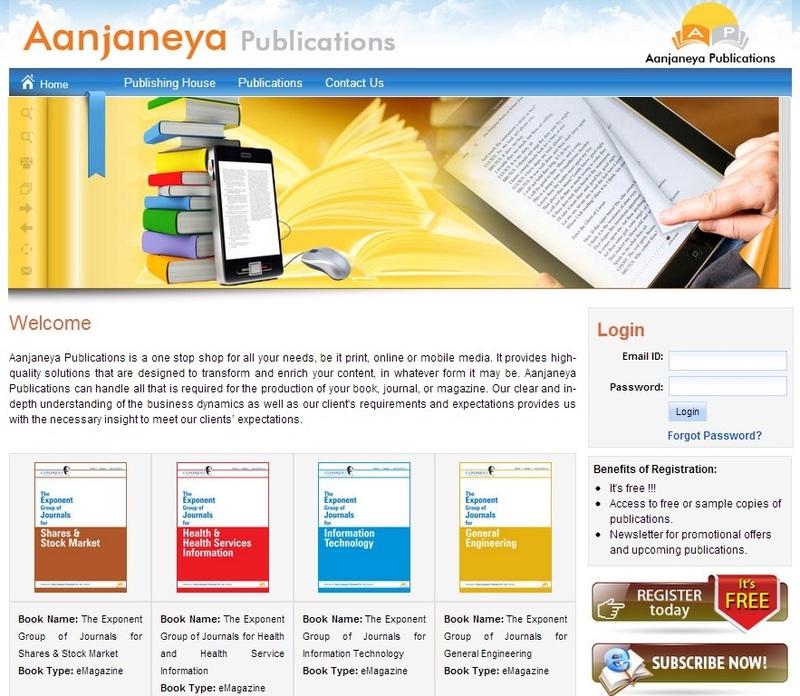 The E-Journals are available to anyone who desires to update their knowledge in the field of their choice. For instance, the E-Journal for Chartered Accountants will also cater to the information needs of non-CAs who, by virtue of their knowledge and experience, handle responsibilities normally reserved for a CA, and equally cater to aspiring CAs, pursuing the course. I would appreciate it, if I could get feedback and suggestions, if any, so that we can constantly improve ourselves and do our bit in bringing Bapu’s vision to fruition. The Exponent Group of Journals for Information Technology is indeed an excellent reading material .I have subscribed for it but want some clarification regarding the first edition.The journal shows 34 pages out of which only 10-11 pages can be read.What could be the problem ? Shree ram its beyond exclnt thats wt i can say only and helpful than anyothr magazine. Param Pujya Bapu has opened this great treasure of knowledge which will spread not only knowledge but also “Satya Prem & Anand”.I am amazed to see such a information sharing which will be accessible every individual. This is fantastic news. A giant step towards empowering the common man. I just scanned thru few of the journals. The language is very easy to understand which is the biggest plus point of these journals i.e. their simplicity as they are written with the “common man” as target audience. At the same time the content is not compromised. All topics are covered in great details which shows the breadth and depth of the writers in their respective subjects. Shree Ram to all the content and IT contributors. This is a dream come true. Shree Ram Dada.This is a great contribution towards upliftment of the society. हरि ओम दादा, सर्वप्रथम आपले आणि आपल्या पूर्ण टीमचे मनापासून अभिनंदन. आपल्या लाडक्या बापूंनी रामराज्य २०२५ या विशेष प्रवचनात ज्या जर्नल्स विषयी अतिशय स्तुत्य व समर्पक आणि अतिशय अभ्यासपूर्वक मांडलेली संकल्पना आपण आणि आपल्या संपूर्ण टीमने प्रत्यक्षात आणायचं धैर्य दाखविलेत यासाठी आपल्या सर्वांचे मनापासून कौतुक. मी स्वतः एक व्यावसायिक वकील आहे. आमच्या व्यवसायात All India Reporter (AIR), Maharashtra Law Journal (MLJ) सारखी जर्नल्स दर आठवड्याला , महिन्याला, वर्षाला निघत असतात आणि त्याचा वापर व उपयोग आम्हाला आमच्या दैनंदिन केसेस मध्ये होतच असतो यात शंकाच नाही. जर्नल्स या गोष्टीचे महत्व प्रत्येक व्यावसायिकाला चांगलेच ठाऊक असते. मग तो वकील असो किंवा डॉक्टर किंवा इतर कोणी. परंतु परमपूज्य बापूंनी जी जर्नल्स सुरु केली आहेत त्याचा फायदा त्या त्या क्षेत्रातील प्रत्येक सामान्य माणसाला होईल हि अतिशय निराळी संकल्पना मला अतिशय भावली. आजच्या या कॉर्पोरेट आणि स्पर्धेच्या युगात कोणालाही समाजाची खरी बांधिलकी नसते आणि त्यामुळे आपल्या क्षेत्रातील ज्ञान मुक्त हस्ताने समाजाला द्यायची दानत पहावयाला मिळत नाही. परंतु या प्रचलित समजाला छेद द्यायचे काम आपल्या लाडक्या बापूंनी केले आहे. ते स्वतः एक अतिशय उत्कृष्ठ, निष्णात आणि अतिशय प्रसिद्ध असे डॉक्टर आहेतच, परंतु असे हे उत्कृष्ठ डॉक्टर आज समाजाला त्यांचे असलेले ज्ञान इतक्या मुक्त हस्ते आणि सोप्या भाषेत वाटण्याचे महान कार्य करीत आहेत, त्याबद्धल अजून काय बोलणे बाकीच राहत नाही. आपण स्वतः एक अतिशय निष्णात सिव्हील इंजिनिअर आहात ,तसेच आपले कायद्याचे ज्ञान अनेक विद्वान वकिलांना अचाट करणारे आहे. त्यामुळे आपले या कार्यास अनमोल योगदान आहेच याबद्धल माझ्या मनात तिळमात्र शंका नाही. या समाजउपयोगी, दैवी आणि उत्कृष्ठ उपक्रमास मनःपूर्वक शुभेच्छा . 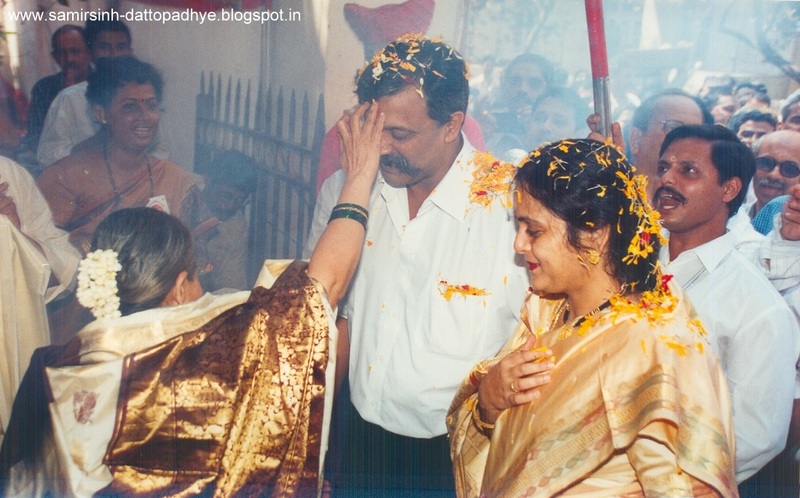 HARI OM DADA. Lots of Shreeram,day by day you are updating our knowledge about different issues on through your blog. Really everyday eagerly waiting to look for what feast our DADA has given to us? This is today's need that any personnel may be CA , MBA, MBBS or MD , Engineer must keep his/her knowledge updated with this fast changing IT era. The treasure of E-journals of Exponent Group of Journals will surely satisfy this thirst of knowledge. Shreeram and Hats off to all Our IT team members for their dedicated PRAYAS for launching these Journals. Hari Om Dada,Lots of Shree Ram for our IT team. These journals are indeed treat for us as they are need of every indiviual in todays time. These are definately going to help and update us in the feild where we desire to excel. Hari Aum and Shree Ram Dada n IT team for such a wonderful convenience given t us. Am already. A subscriber to Krupasindhu , Avahanam an janami n Tadatmyanaham….. And such a boon it is to be able to read wherever one is. No need of planning and taking books with u. And double the joy when one stays out of Mumbai or India. Will sure.y check the journals…. Now we are waiting for Pratyaksha online…. As Bapu says we are always asking for more n more….. What to do when it comes to stuff like this Yeh Dil Mange More……. Hari om Dada, This is the unique platform to update our knowledge in the fields related to Medical, Science, Technology, Finance & investments. Shreeram. HariOm !Dada Its an excellent news.Hats Off for these and lots of shree Ram. considering these generation and its proper requirement, Immediately I rem.the word offen used by BAPU in Pravachan (LITERATE)for computer knowledge.when we will go through these in the corner of our mind small but very big confidence will be taking place.